Have you ever decided to change your life? Maybe it was after a major event in your life, or possibly close to the start of the new year. The first thing you probably did was make a list of all of the things you wanted to change, no matter how many there were. You also probably planned to work on them all at once. Not good! 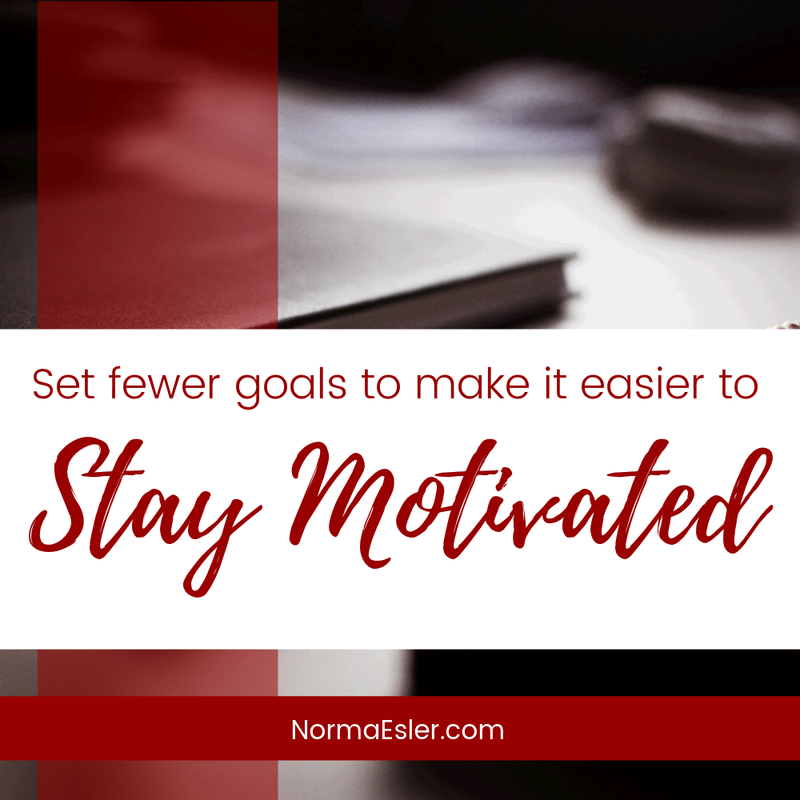 My advice is to set fewer goals to make it easier to stay motivated. 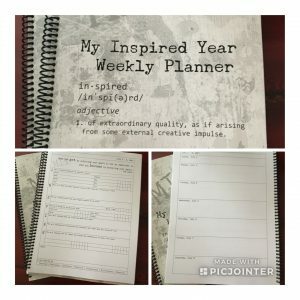 My Inspired Year Weekly Planner helps you to work on one goal or one new habit at a time each month. You really can become the person you want to be, but it’s easier, and you’re much more likely to succeed, if you take it one step at a time. And here’s why. It’s hard to sustain motivation for many goals at once, but sustaining motivation is the most important factor in achieving your goals. Because of this, having fewer goals to work on at the time will make it easier to stay motivated long enough to reach your goals. Your success depends on your ability to prioritize your goals and manage your motivation while working toward them. Having fewer goals makes it easier to stay motivated because you can only focus on so many things at once. It’s easy to over estimate what can be accomplished, but it’s important to learn how to dial it back and prioritize your most important goals over others. The more focused you are on a goal, the greater your chance of success. Also, the fewer goals you have, the more you can focus your energy, time, and other resources toward achieving that goal. It’s not easy to choose your most important goals, but it’s worth the effort. We are all given the same amount of time in each day, and we have to plan our lives based on the same 24 hours that everyone else has. We all have to allow time for each task we plan to do each day. Basic needs are similar for everyone, but after that, we choose how our time is spent. The only problem with that is you have to decide what is important and then make sure you spend your time doing the things that matter to you. If you set too many goals at once, you won’t have time to achieve all of them and you’ll probably feel like you’re spinning your wheels and not achieving anything. This can be very discouraging! Working toward fewer goals at the time will allow you to spend more time on each one, and you’ll be more likely to be successful. Even if you have time to put toward many goals at once, you might not have the mental and physical energy it takes to achieve them. We can do only so much before our minds and bodies need to rest and refuel. Spreading yourself too then can wreak havoc on your energy levels, and can cause you to fail at reaching one or more of your goals. The more focused you are on a goal, the greater your chance of success. Be honest with yourself about what you have the energy for. 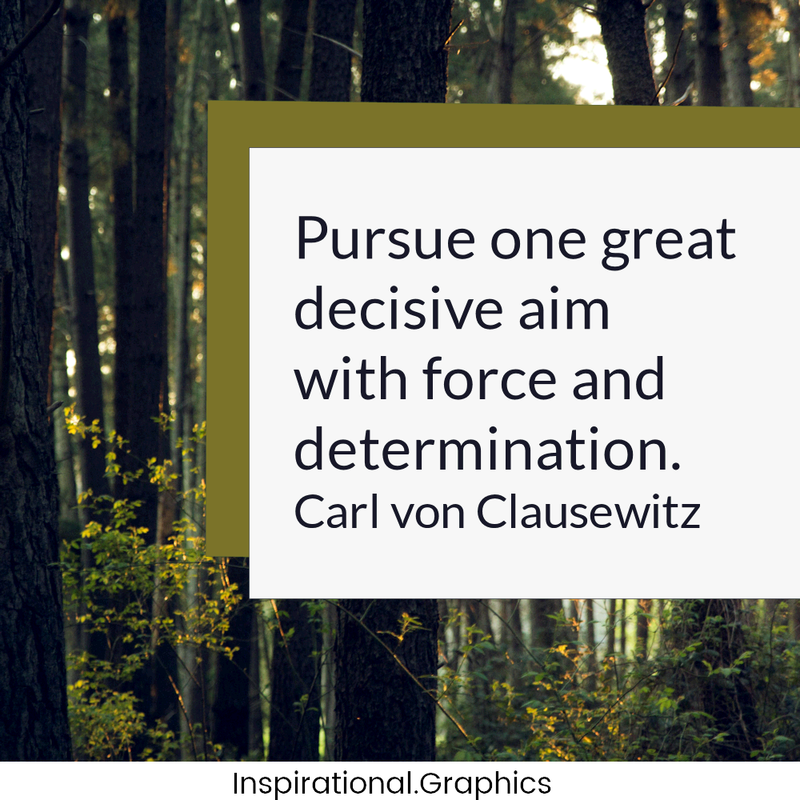 Think about all of your obligations and the limits you have with your time and energy already, and then choose what goals to pursue first. What do you really have the energy for? It’s easy to over commit when it comes to setting goals for ourselves because it’s easy to over estimate what we’re capable of doing. We don’t want to think of our own limitations, but if you’re going to be successful you have to learn to do just that. It’s a lot easier to maintain our motivation for fewer goals at the time because we have limited focus, time, energy, and other resources. The fewer things you try to do at once, the better you can do each one, and the greater your chance of success. Get the latest My Inspired Year Weekly Planner here. Your purchase includes an online course to help you get the most out of your planner and achieve your goals.